What do customs mean in a given culture? 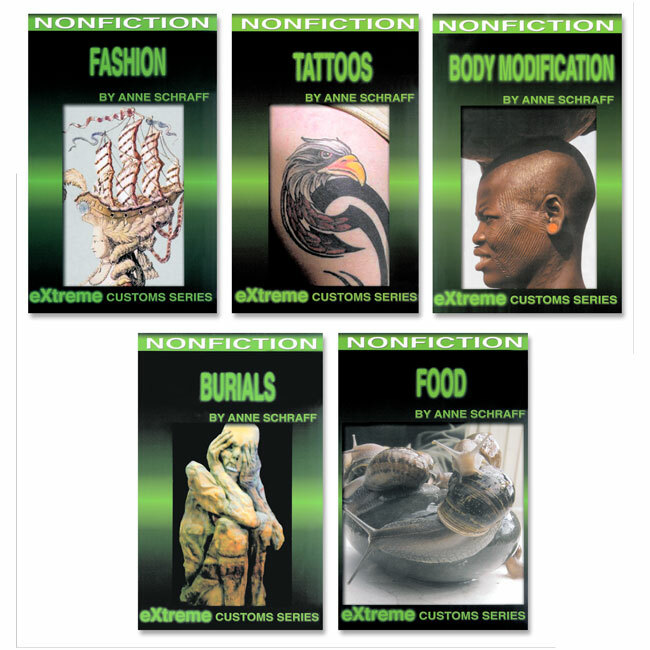 This high-interest nonfiction series takes a look at the origins, practices and meaning of body modification (piercing, scarring, even plastic surgery), tattooing, burial rites, food traditions (everything from scorpions to fermented shark meat), and fashions in clothing and hair decoration. Modifying your body may seem to be an extreme thing to do. But when we build muscles, lose weight, pierce our ears, or get a hair transplant, arent we modifying our bodies? What powerful needs make us do it? This book explores the history of these sometimes strange and sometimes commonplace customs from around the world. This collection of burial customs will amaze and captivate readers. Even the first humans performed burials. All people die but the great variety of customs, from hanging coffins to Viking longships, will surprise the reader with their variety and universal respect. Everyday you probably wonder what you should wear, whether its for a date, job interview, or just relaxation. This has been true throughout history, from ancient Egypt to medieval Japan to the roaring 20s and beyond. This book describes the sometimes shocking, sometimes funny, and occasionally unbelievable fashions that were popular in other times and places. We all have to eat, but what we eat and how we eat makes for the most interesting reading. People are often shocked by what other people eat and yet our idea of what is normal is entirely dependent on what is familiar. This cross-cultural history of food may make you think differently about your own meals. Some think Tattoos are the hottest new style to hit the scene. Are they really? 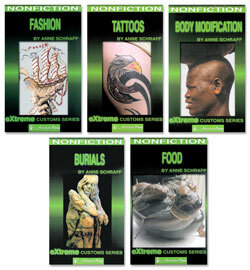 This book details the long history of tattoos and the reasons people have made their mark with them. An outward sign of belonging, belief or beauty, tattoos have an appeal that crosses time and geography. But not everyone lives happily with a tattoo.